For the Axl, lift up the flex plate and cables. 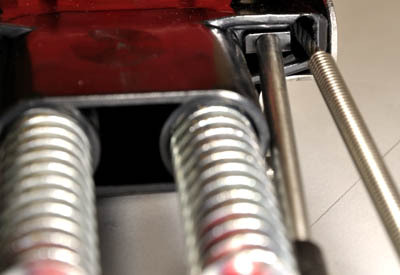 For the Vice, remove the flex plate by lifting and sliding it to the right. 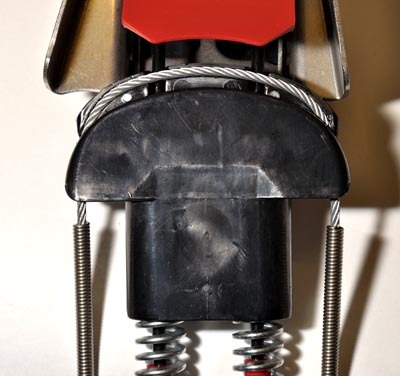 Push the spring cartridge forward into the wings of the toepiece. 7. Remove and replace the cable.